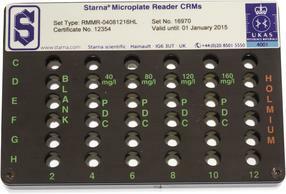 Starna, pioneers in the development of Certified Reference Materials (CRMs) for spectroscopy, now offer the world’s most comprehensive range of materials for Instrument Qualification and performance verification from the Far-UV to Mid-IR. Manufactured and calibrated under strictly controlled conditions, these materials conform to all the relevant international standards and quality protocols. 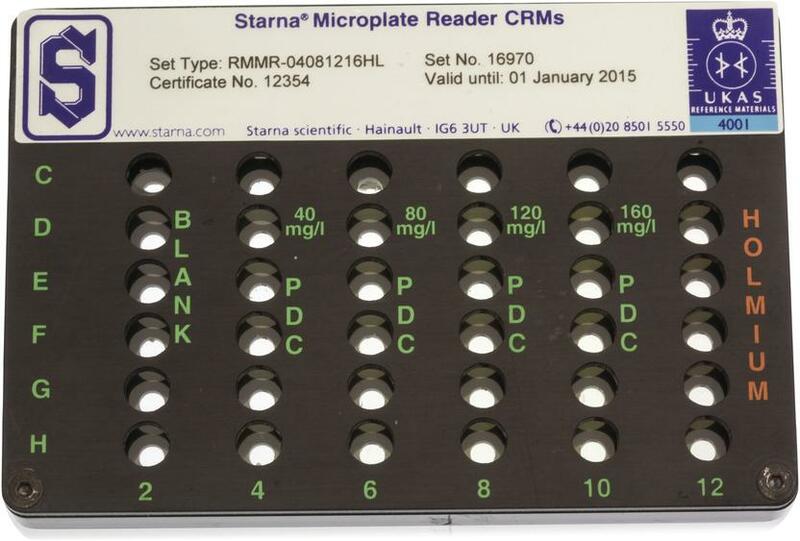 As the world leader in this technology, Starna has played a pivotal role in the development of CRMs for spectroscopy over fifty years, in close collaboration with national Metrological Institutes (NMI’s), international regulatory bodies and instrument manufacturers. Starna is accredited to the new ISO Standard 17034:2016 as a Reference Material Producer and to ISO/IEC 17025 for the calibration of its CRMs. 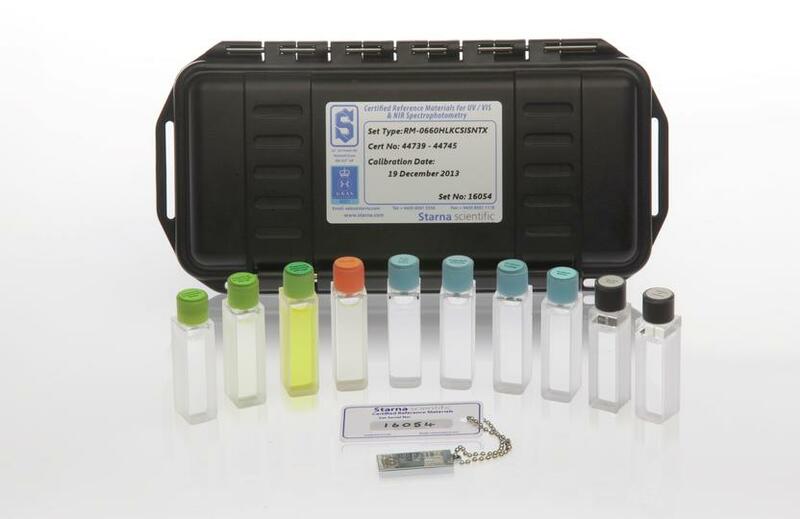 Instrument Qualification Kits, to assist in the easy qualification of UV-Visible Spectrophotometers contain a selection of Starna Certified Reference Materials accepted by all the major Pharmacopoeias and standardisation bodies for checking photometric accuracy, wavelength calibration, stray light and instrument resolution/bandwidth. All liquid references are permanently sealed by heat fusion into their cells using a process developed by Starna; eliminating evaporation, improving stability and making handling safer. 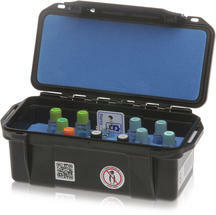 A Certificate of Calibration and Traceability and full instructions for use are provided with each Reference Material. 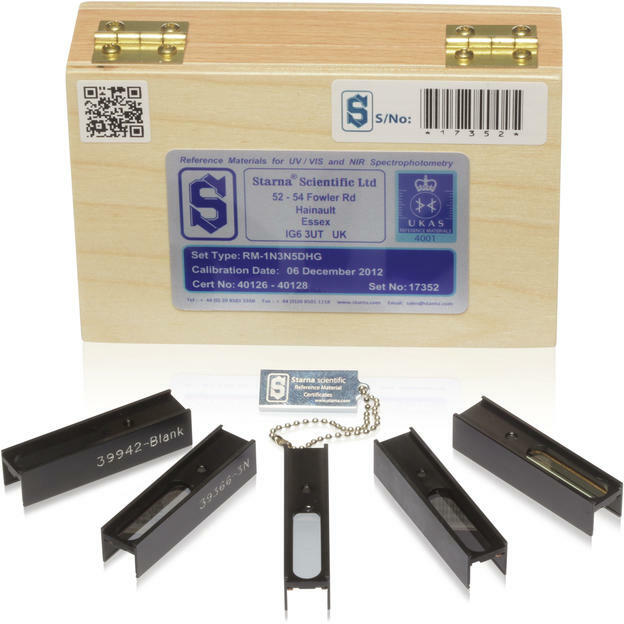 The certificate is supplied in electronic format, on a USB drive allowing hard copies to be produced on demand and giving easy interface to the user’s own IT systems. All Starna CRM's carry a lifetime guarantee, provided they are used and stored correctly and recalibrated by Starna at intervals of not more than 2 years. The Starna calibration laboratory can re-certify and despatch reference materials within five working days from receipt. For further information on Starna CRMs please download the Starna Certified Reference Materials catalogue.